These homemade Drumsticks have been in the works in my brain for quite a long time now… since January, actually. I can’t remember if it was just before or just after having Joseph, but on one random trip to the grocery store, I threw a box of Drumsticks into the cart. A craving struck as I was walking through the ice cream aisle, and I bought them on a whim. I was pretty sure that I had not eaten one since I was a kid chasing the ice cream truck, and they looked oh-so-good. Well, it took all of one whole Drumstick for both my husband and I to get totally hooked on them and I started buying them regularly. 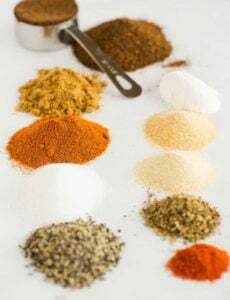 At one point, my husband suggested that I try a homemade version, but at the time I was still in the haze of multiple middle of the night feedings and I shoved the idea to the back of my brain. Well, the fog has finally lifted and I made those homemade drumsticks happen! 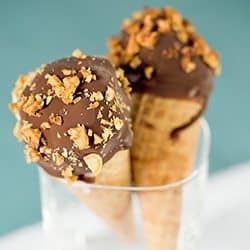 I did use store-bought sugar cones for these because there was a box in our pantry, but you could totally make your own! There is a great recipe from Spoon Fork Bacon that provides direction for both sugar cones and waffle cones, so you could make either. The biggest hurdle I had in the beginning was figuring out how to situate the cones upright in the freezer so that they could set before I stored them. I ended up buying a disposable aluminum pan at the grocery store and cutting rounds into the bottom of it, then flipped it upside down and popped the cones in each hole (see photo below). I was trying to figure out how to describe the process I used to coat the inside of the cones with the magic shell chocolate topping, but I decided that taking a quick video would probably be even more helpful! 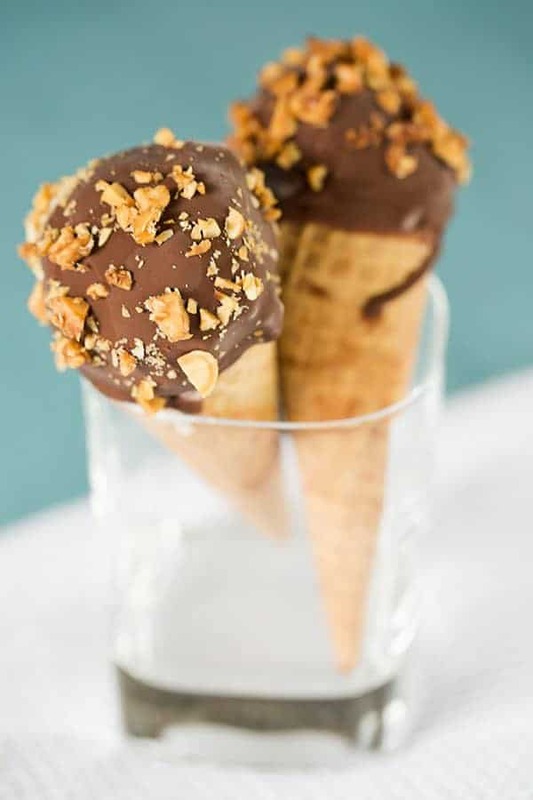 A chocolate-lined sugar cone with fudge in the bottom, filled with vanilla ice cream, dipped in chocolate and rolled in chopped peanuts. Perfection! 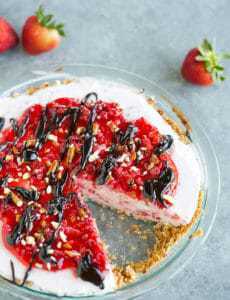 Start to finish, these take less than 2 hours to make and you can keep them in the freezer for when a craving strikes. 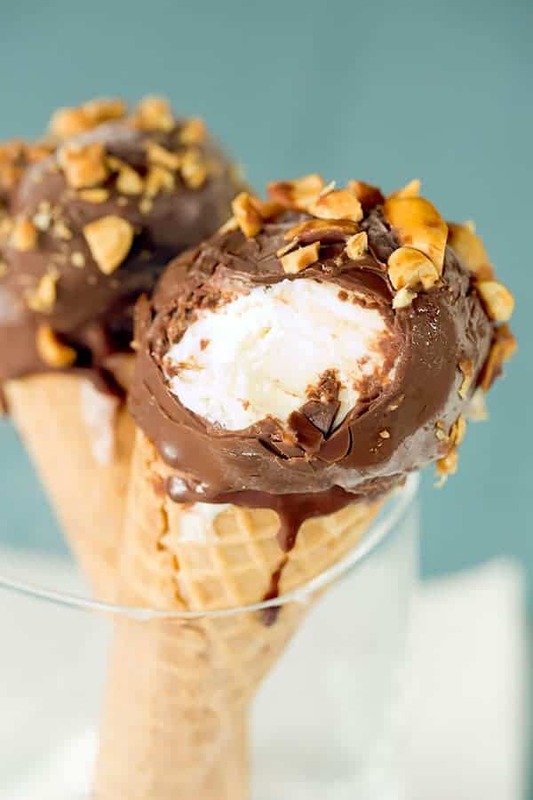 I went the traditional route with vanilla ice cream, fudge in the cone and peanuts on top, but you could absolutely change these up as much as you’d like… Play around with ice cream flavors, maybe caramel or butterscotch in the bottom of the cone, other types of nuts or sprinkles on top. Endless possibilities! 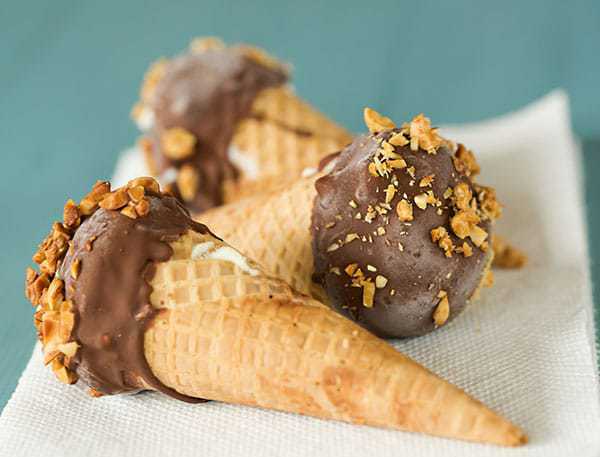 A homemade version of the popular ice cream treat - a chocolate-coated sugar cone is filled with fudge and vanilla ice cream, dipped in chocolate and rolled in peanuts. Place the sugar cones in the freezer for at least 1 hour. Coat the insides of each cone with magic shell topping by spooning some of the coating inside the cone, then quickly swirling it around the inside (see video above). Place upright in the freezer for at least 15 minutes. Spoon 1 teaspoon hot fudge into the bottom of each cone. 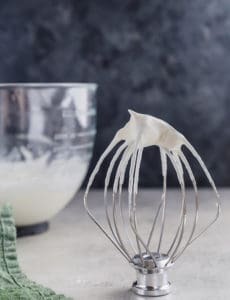 Then, fill the cone with vanilla ice cream and add a small scoop on top, using an offset spatula to smooth the scoop into a round ball. Return to the freezer for at least 1 hour. Place the magic shell into a tall, narrow container. Working with one cone at a time, quickly dip the top of each one into the magic shell, letting any excess drip off and immediately returning it to its holder. Once all of the cones have been dipped, return to the freezer for 15 minutes. Repeat the dipping process, this time sprinkling with chopped peanuts immediately after dipping. Return to the freezer for at least 15 minutes before serving. Once they are set, you can transfer the drumsticks to a gallon size ziploc freezer bag and store in the freezer for up to 2 months. Surely i will prepare this one. Oh my, I love drumstick ice cream! I just have a quick question: Do the cones get soggy, like, they sometimes do when you buy drumstick ice cream? Anyway, I will definitely make these soon. Nope, they definitely do not get soggy! Oh my goodness! I have to try this! These are fabulous! I remember inhaling these as a kid and I bet the homemade versions is way better obviously!! These look so beyond amazing. I loved Drumsticks as a kid and have avoided them for the same reason you stated – I would kust keep buying (and eating 2 or 3 a night!) them..
You totally read my mind with these! I’ve been thinking about making some but now I can just make yours!